Critical Link develops embedded solutions – System on Modules (SOMs) and Imaging Platforms – for a wide range of electronic applications. Since 1997, our engineers have been helping customers bring products to market more rapidly and at lower cost than they could if they developed the entire product, from scratch, on their own. And we do so while ensuring the performance demanded in today’s industrial applications. We pride ourselves on developing partnerships with our customers. We are vested at the start of every project, knowing today’s prototype is tomorrow’s product launch, and that our success is dependent on that of our customers’. And because our engineering team is larger than many OEM engineering departments, you won’t compete for access to the engineering skills and disciplines your project needs. Critical Link, LLC, is headquartered in Syracuse, New York and is privately held. 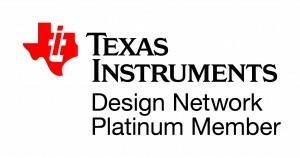 We are a Platinum member of the Intel FPGA Design Services Network and Intel IoT Solutions Alliance, a Platinum Partner of the TI Design Network, and a certified member of the Arrow Consulting Engineering Services (ACES) network, and is ISO 9001:2015 Registered by SRI Quality System Registrar.